When I read in September that Exquisite Corpse was being printed in English, I knew I had to read it. 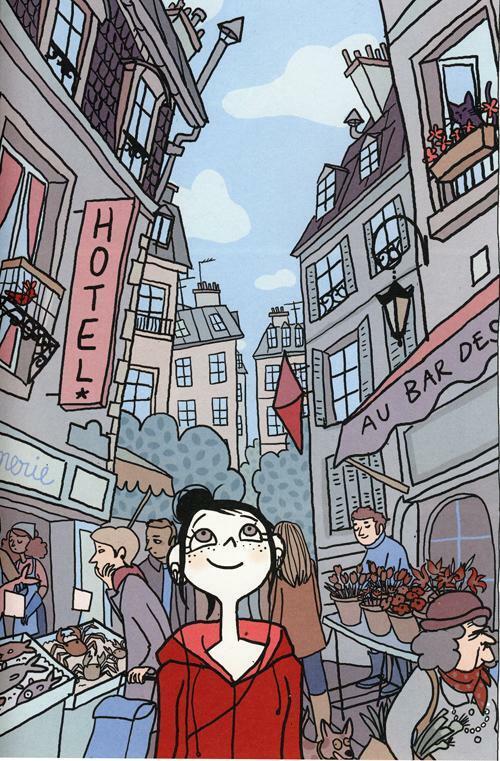 Actually I have been devouring a lot of French to English translated graphic novels of late and there is a good reason for that: they are brilliant. A lot of great work is being done in both the French-speaking part of Canada and France. 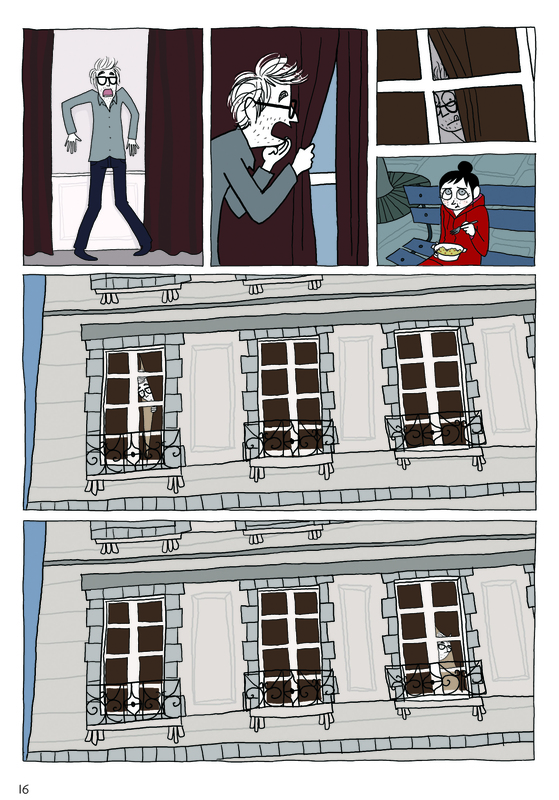 Case in point, the topic of today: Pénélope Bagieu's Exquisite Corpse. Now, I can see how this might not be for everyone, but it is a quick read, filled with great illustrations, and a common story with surprises along the way. Synopsis: For those who instantly thought of the game Exquisite Corpse (in which a collection of words or images is collectively created as the collaborators blindly add to the work), you might be slightly disappointed. However, the terminology is very appropriate once you read the story. Zoe, like a lot of people, is unhappy with her boyfriend, job, and life in general. Until, of course, she meets Thomas Rocher, who happens to be a world-famous author, though Zoe is unaware of that fact. He finds inspiration through Zoe and at first, she is content with their relationship. That is until things start to again come apart at the seams. Staying in all the time, plus adding into the mix Thomas' ex wife and editor Agathe leads Zoe to falling into the same emotional pattern, a common issue most of us have faced in our dating experiences. Below is a sample of Bagieu's wonderful illustration style. I was a personal fan of her color palette throughout the work. They compliment the story and the characters very well. As one of the first books I have read of Bagieu's, I am intrigued and hope to get my hands on more, however, as it stands - this is her only work in English. Here's to many more translated works, or at least, the time to freshen up my outdated / waning French reading skills.